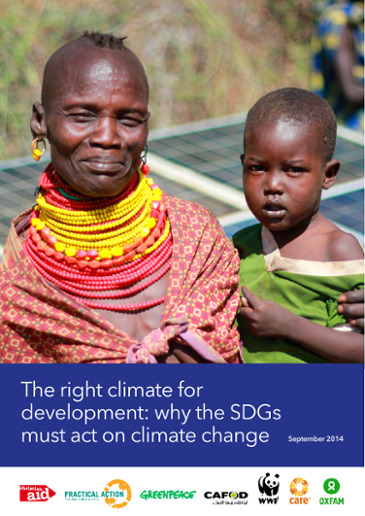 Practical Action believes that development challenges will require a global shift in thinking: one that recognises the finite boundaries of the planet and the need to tackle the challenges of poverty, environmental degradation and climate change together. We place wellbeing, technology justice and sustainable development at the centre of the global fight against poverty. The Sustainable Development Goals (SDGs) agreed in 2015 will define global development targets and goals for the next 15 years. Over this period, science and technology is expected to continue to change and advance at a rapid pace. If governed well, this technological change offers opportunities to accelerate progress towards achieving development for all people in a way that conserves the environment. But if governed poorly, new technologies have the potential to reinforce established power imbalances, further widen the technological divide between rich and poor, and create new social and environmental challenges. Investments in technologies must be designed to enable the inclusion of poor people the processes of technology transfer, adaptation and innovation. They must be used to equip poor people with the skills and knowledge to participate in the choice, use and regulation of technologies that affect their lives. We must also recognise that the current balance of investment resources and capacity to adapt existing technologies, innovate and research are concentrated in the private sector. Thus, clear targets and principles are needed to guide investments in technologies and science to ensure that they empower poor people rather than make them dependant on inputs and technologies they cannot afford or which increase their vulnerability. 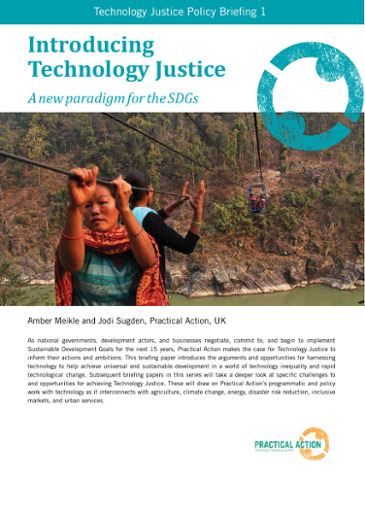 Practical Action welcomes the recognition that science, technology and innovation (STI) is fundamental to the international community and developing nations to respond to and effectively implement the Sustainable Development Goals (SDGs), development financing, and climate change targets. But technology transfer will require more than just sharing the technology, it will require sharing how the technology works, capacity building and financing. 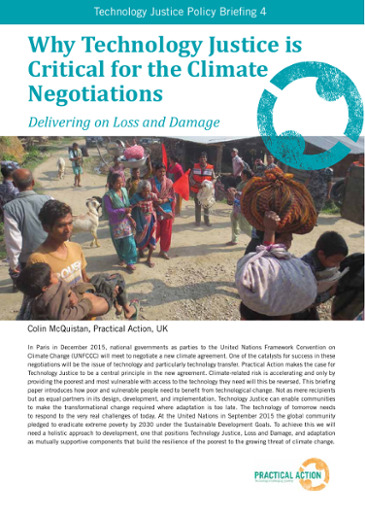 Current SDG and climate change negotiations largely focus on technology transfer. They do not go far enough on capacity building for innovation and technology development in developing countries and ignore the representation of developing countries in global innovation processes.